There a quite a lot of nice waterfalls on Koh Chang. Lonely Beach itself has unfortunately no waterfalls. But you can reach most of them pretty easily with scooter or hop on cabs. Some waterfalls are for free some of them are located in the national park which means you have to pay entry fee (as a foreigner max. 200 Baht ). Be sure to keep your ticket, if you have paid once your ticket is valid for all the waterfalls on the day you bought it. At the End of the rain season the waterfalls have the most amount of water. For the full experience the best time is from October to December. Beginning of January some of the waterfalls on Koh Chang are dried out. There is no best waterfall on Koh Chang. Some are more beautiful but therefore touristic, some are tiny but you are on your own. 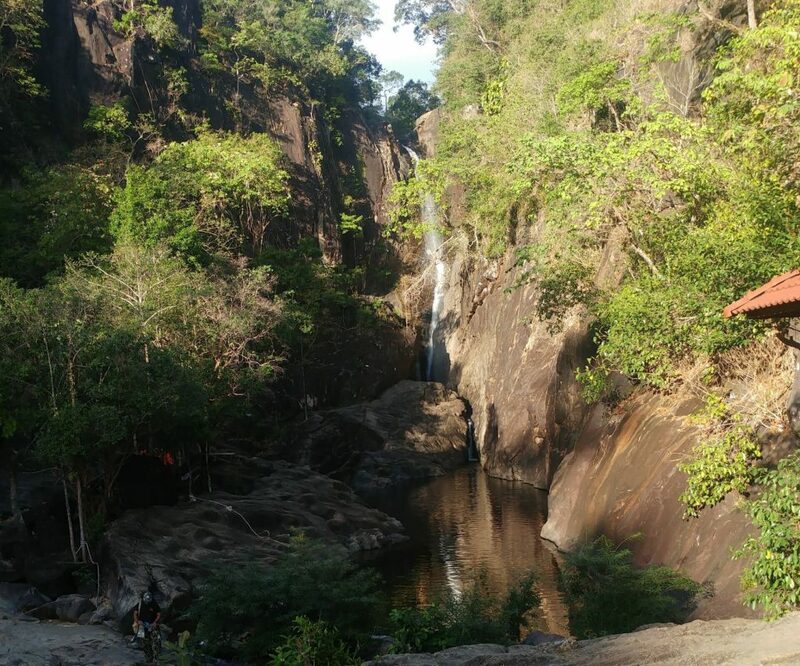 The best waterfall on Koh Chang depends hardly on what you prefer. Read the waterfall guide and I am sure you will find the one that fits right to you. If you click on the waterfall you will find some reviews and pictures from Google. 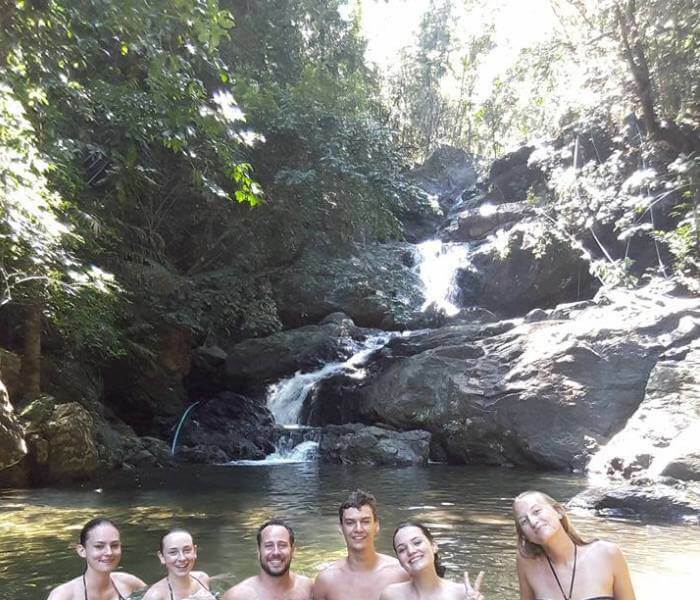 As you cannot drive to the south I will list all the waterfalls on Koh Chang clockwise from the closest to Lonely Beach. How to get there: Just drive the main street north from Lonely Beach. In Klong Prao you will see the sign turn right there. Now it’s just a couple of minutes to the waterfall. Info: Follow the 600m path and in less than 15 minutes you reach the waterfall. There is a huge pool to dip in. Be aware there are a lot of fish in it, that are waiting to bite your toe. Further up you see the waterfall. 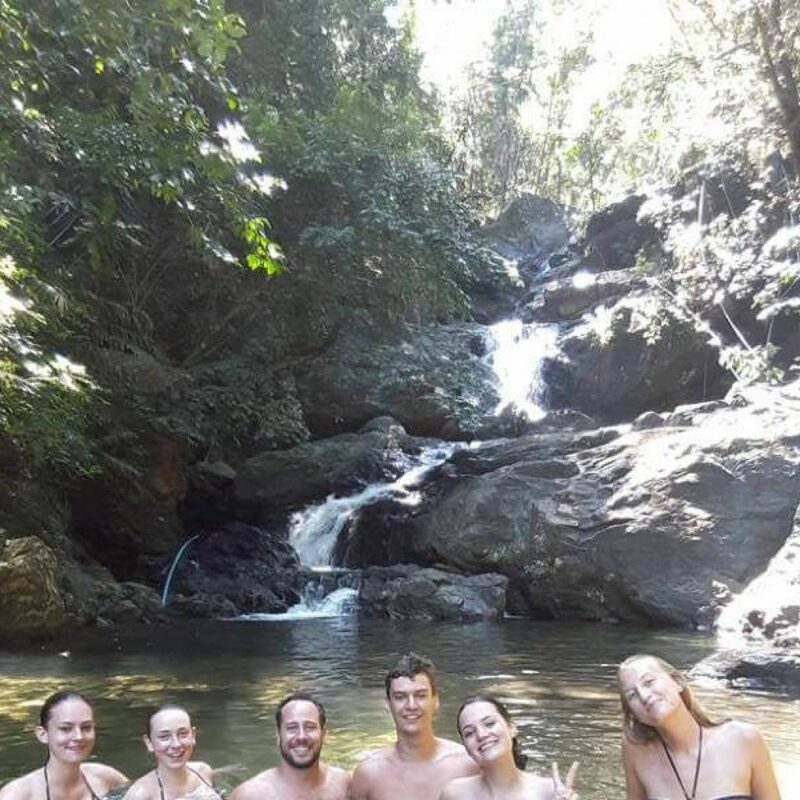 As it is on the more common west side on the island and easy to reach, this is the most crowded waterfall on Koh Chang and you will probably never be alone. How to get there: Drive the main street north from Lonely Beach for about 25 minutes. After white ands beach you need to turn right to the inland to get to the waterfall, it is still some minutes drive, you are close when you reach the elephant camp. Info: There are some signs to follow to reach the waterfall. Also there are various tiers so be sure to get up and check them out. If you’re lucky you will be the only one at this waterfall. How to get there: Drive the main street north for about 35 minutes. You will see the hospital of Koh Chang on the right side. Shortly after turn right where the sign to the waterfall is. Info: From the parking spot it’s just 5 minutes walk to the first tier. Same as the previous waterfall it’s not very crowded here and you have some higher tiers to explore. You will often meet locals at the lower tiers. Go up on the left side and you have a good chance to be alone and can have a quiet dip in the pool. How to get there: Drive the main street north for about 40 minutes. A few km after the hospital of Koh Chang you will find this waterfall pretty close to the main street on the right side. Info: It’s a nice 10 minute walk from the parking spot over a beautiful stone bridge. You mostly will meet other foreigners and locals here. There is a big and nice plunge pool beneath the fall. How to get there: Drive the main street north for about 50 minutes. After you reached the crossroad to Long Beach (don’t take it) follow the street until you cross a river. Then you need to turn right on the next bigger intersection and instantly right again. Info: From what I have heard of it is a 30 minutes hard, slippery and wet walk. So be sure you are fit and prepared to take this one. At the end the highest waterfall of Koh Chang awaits you. How to get there: Drive the main street north for about 50 minutes. After you reached the crossroad to Long Beach (don’t take it) follow the street until you cross a river. Then turn right on the next bigger intersection. A good few hundred meters and you will find the sign to turn right to the waterfall. Info: From the parking spot take the path to the waterfall. The upper tier pools shall be amazing, but unfortunately they are very hard to reach. 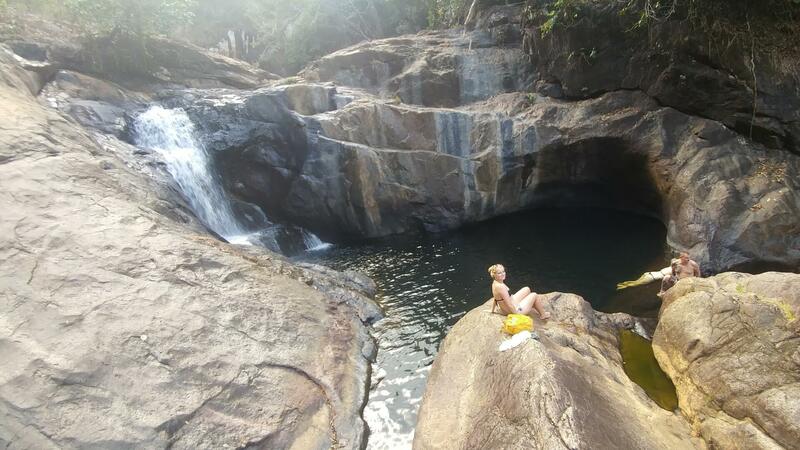 As this waterfall is far away from the touristic side you will probably not run into other foreigners or locals.